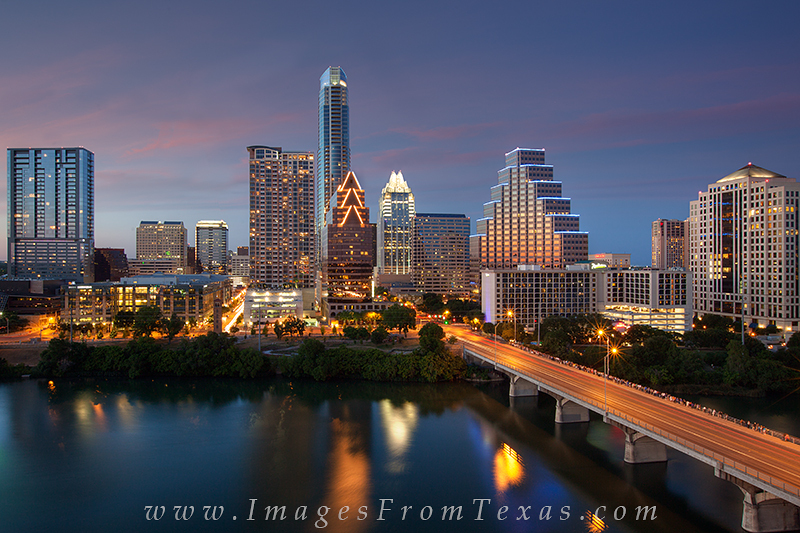 Looking across Ladybird Lake and Congress Bridge, downtown Austin shines in the twilight of a summer evening. The Austonian is the tallest building in Austin, and next to it stands the iconic Frost Bank Tower. The Austin skyline is constantly changing, and many new highrises over the next 5 years will change the look of the cityscape dramatically. This image was taken from top floor of the Austin Hyatt. Photo © copyright by Rob Greebon.